For over 85 years, the Renner family has been privileged to serve families in Belleville, Freeburg, Smithton and surrounding communities. We consider our relationship with individual families to be a sacred trust. We strive to work with families, to accommodate their wishes and to provide dignified, meaningful funerals or memorial services at a reasonable, competitive price. What separates Renner Funeral Home from everyone else? 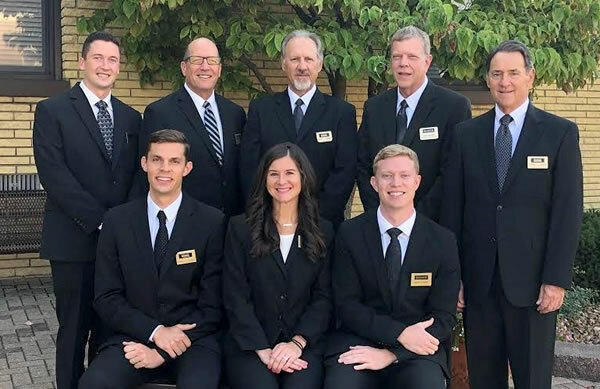 Quite simply, at Renner Funeral Home, families will be dealing with a member of the Renner family from the initial notification of death, to the removal from the place of death, through the arrangement conference, and throughout the services and disposition of your choice. Embalming and other preparation of the deceased are done at our facility by a Renner family member. Our name and reputation are at stake with every family we care for, so we make every effort to make sure everything is done to your complete satisfaction. It is our goal to treat every family with the same dignity and respect that we would expect for our own family. St. Clair County Funeral Directors Assoc.